This workshop focused on the published and unpublished writings of Charles Harrison (1942–2009) whose prolific output as a critic, art historian and practitioner blurred the boundaries between these professional practices, as did his work as a curator, editor and lecturer. 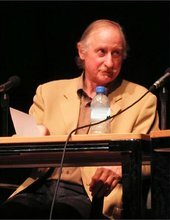 His intellectual trajectory – from 1966, when he started work at Studio International, to 2008, when he was made Emeritus Professor of the History and Theory of Art at the Open University – paralleled major changes in artistic practice, repeated attacks on modernist criticism and its associated values, and transformative revisions to the discipline of art history. The extent to which Harrison’s own writing was informed by and contributed to these changes was assessed, as was his critical and ideological motivations, his relationships with artists and critics, his collaborative endeavours, in particular his work with Art & Language, and his legacy. The ways in which archival research enriches our understanding of Harrison’s work was also discussed. 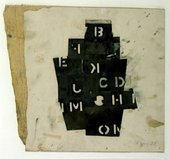 His papers in the Tate Archive contain reflections on the role of criticism and the decline of modernism, notes on his work at Studio International, exhibition planning documents, installation slides, correspondence with artists and museum directors, teaching notes and course planning documents, as well as manuscripts of his books with comments from Mel Ramsden and Michael Baldwin and editorial drafts from publishers.